Congresswoman Eddie Bernice Johnson received the 2017 Literacy Champion Award from Reading is Fundamental (RIF), recognizing her commitment to early childhood literacy. "RIF’s Literacy Champion Award recognizes the remarkable contributions of individuals in the field of children’s literacy. RIF is committed to creating collaborative relationships with advocates who share our goal of ensuring all children have access to the fundamental building blocks they need to succeed,” said Alicia Levi, President and CEO of Reading Is Fundamental. “We are thrilled to honor Representative Johnson for her ongoing commitment to families in need, leadership in the community, and her continued support of RIF and strong education programs like the U.S. Department of Education’s Innovative Approaches to Literacy program in promoting the life-changing power of literacy." 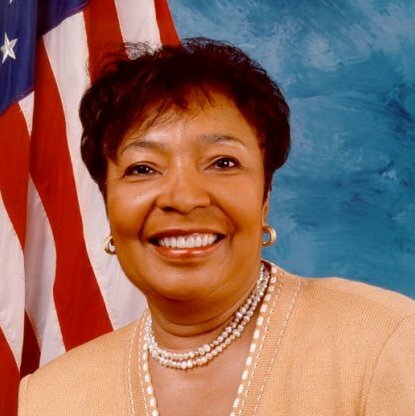 Since its inception in 2012, Congresswoman Johnson has led the congressional effort to sustain funding for the Innovative Approaches to Literacy (IAL) program, which provides high-quality literacy training to children that need it. The program has granted over 120 awards to areas across the country, including the DFW Metroplex. This year, the Congresswoman garnered the support of 146 of her colleagues from both sides of the aisle, marking the highest level of congressional support that the program has ever received.